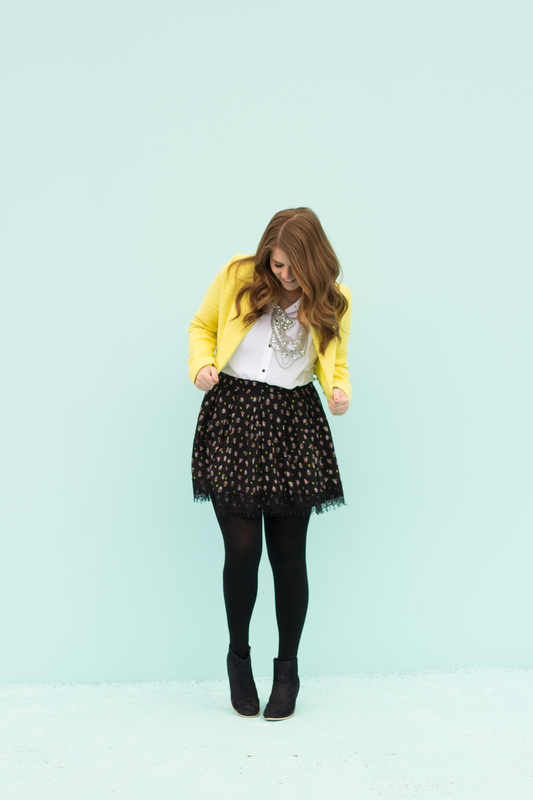 Yellow Charming Charlie Jacket and black floral skirt with tights. It had been feeling like spring lately. I am was happy for the weather to be turning warmer. Then, it dumped 6 inches of snow. 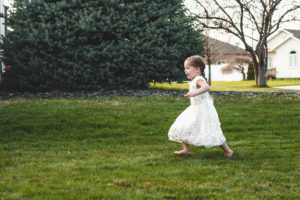 I love the colors of spring and all the fun fashions. 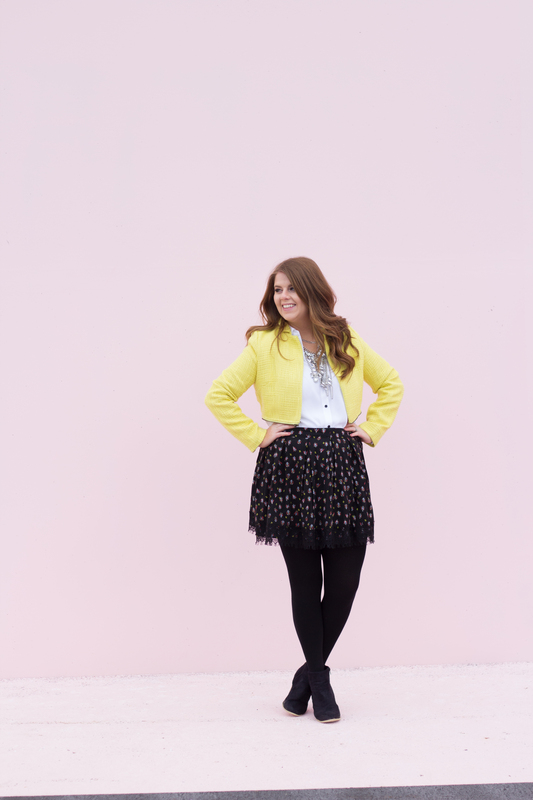 This Yellow Charming Charlie jacket is one of my favorite finds and I get so many outfit options from it. 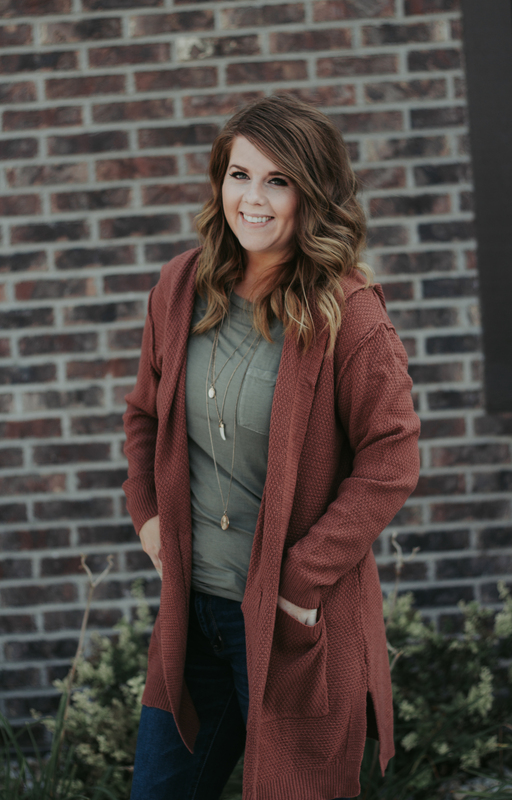 For this look I wanted to style one of my favorite find from JCPenney. This skirt is so amazing and I didn’t pay over $10 for it. I found it wandering the store one day and it just caught my eye.The fabrics and colors are so amazing, I love them. 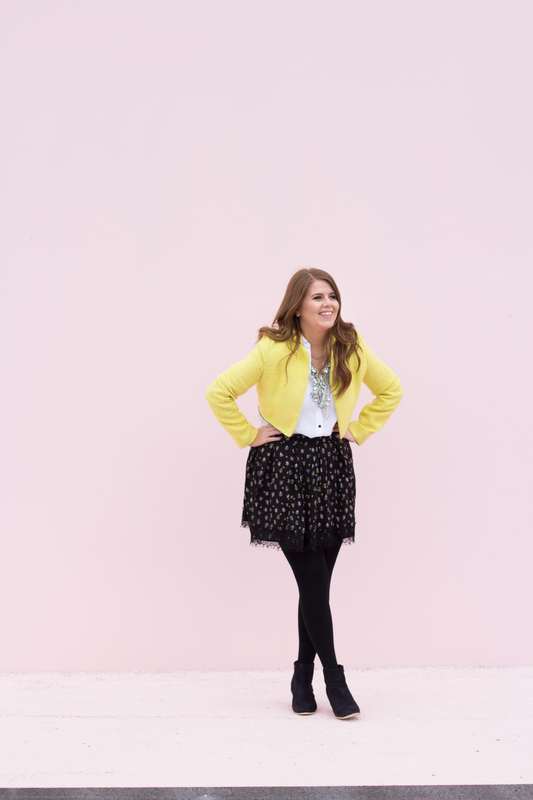 This skirt offers so many different styling options. If you find that a skirt is a little too short, pair it with a cute pair of tights. I paired my skirt with a simple white blouse, I wanted the top to be simple to carry the emphasis to the jacket and the skirt. This blouse is originally a long tunic but it works so well underneath skirts. Blousing it out a little looks so flattering and feminine. 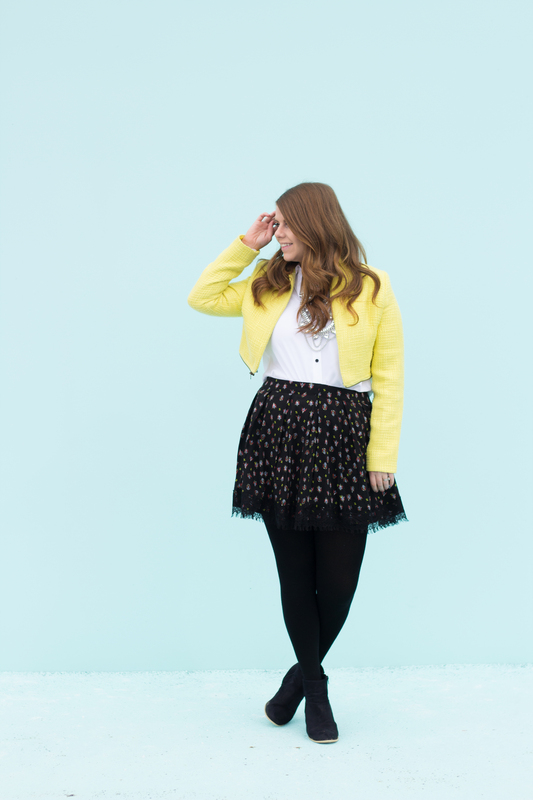 I pulled a yellow jacket to bring out the yellow flower details in the skirt. It’s such a chic fun winter to spring transition outfit. So many fun bright colors paired together. I saw this jacket on an episode of Pretty Little Liars,then found out it was a Zara jacket and it was sold out. While I was shopping Charming Charlie one day and I saw the almost exact same jacket hanging in the window. It was a fantastic find and I paid a fraction of the cost.